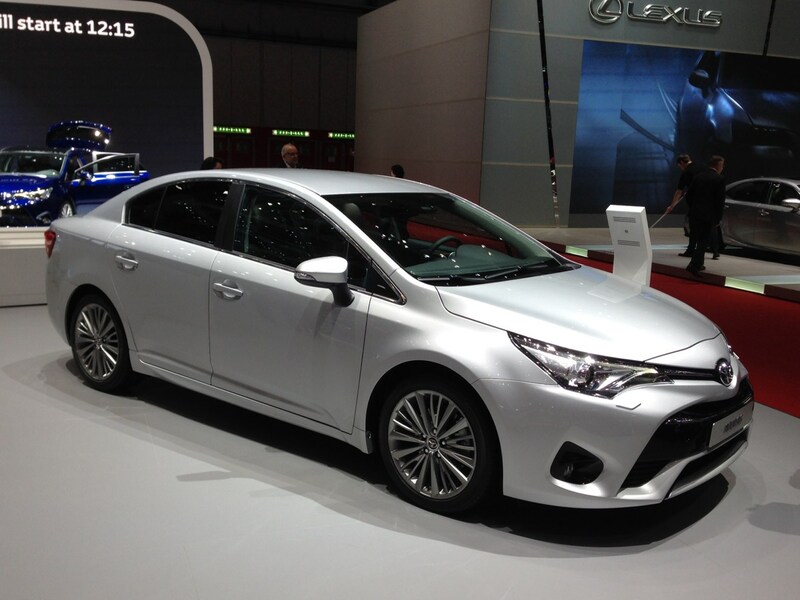 Featuring a smoother, more contemporary look are the facelifted Avensis saloon and Tourer estate unveiled at Geneva. The large car market isn’t as popular as it once was and with Ford’s new Mondeo and VW’s latest Passat vying for attention, Toyota’s been wise to inject some new life into the British-built Avensis. You get a new eight-inch infotainment system along with a new safety package and LED lighting to keep the Avensis looking fresh. There are also improvements to efficiency, which should help the car appeal to more of its core market - company car drivers. As the latest Avensis is not an all-new model, chances are these revisions aren’t going to elevate it to the top of the class. But, if its priced competitively and offers buyers features they’ll struggle to find elsewhere, then it could find new friends. Alongside the latest Avensis ranges on the Toyota stand is the similarly-tweaked Auris line-up of hatchbacks and Touring Sports estates. With a similar design of new nose, both of which are similar to that on last year’s Yaris facelift, the Auris’ dashboard has also received some attention, although still manages to look dated compared to rivals’ offerings. The main improvements include a pair of new engines - a 1.2-litre turbocharger petrol and a 1.6-litre diesel. There are also improvements to Noise, Vibration and Harshness (NVH) levels which should make the Auris HSD (hybrid) one seriously quiet car to travel in. How did we rate the pre-facelift Auris hatchback and Touring Sports estate ranges? 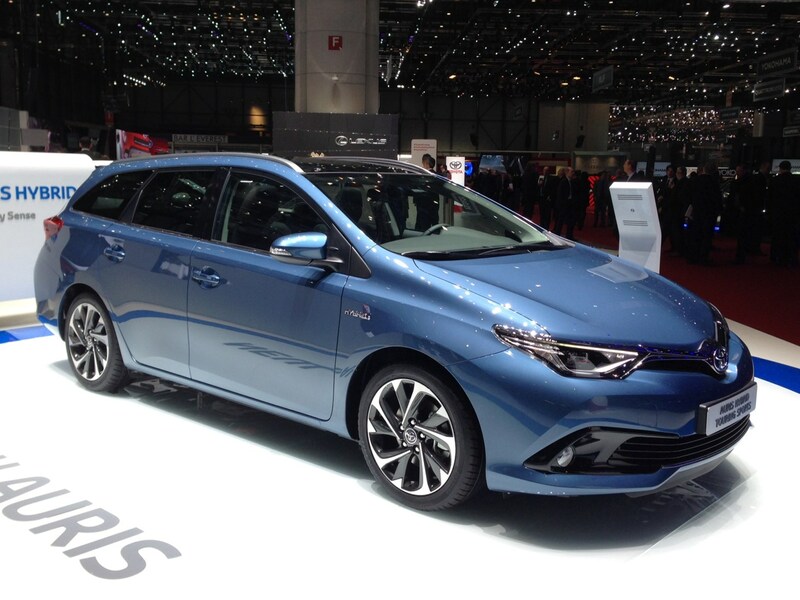 Hybrid versions of the Auris are expected to continue to be strong sellers but the conventional diesel and petrol ranges lack the overall level of appeal offered by others in this extremely competitive sector, even with the 2015 refresh. Also on show in Geneva is the recently revealed Mirai, a striking-looking four-door saloon featuring hydrogen fuel cell technology. 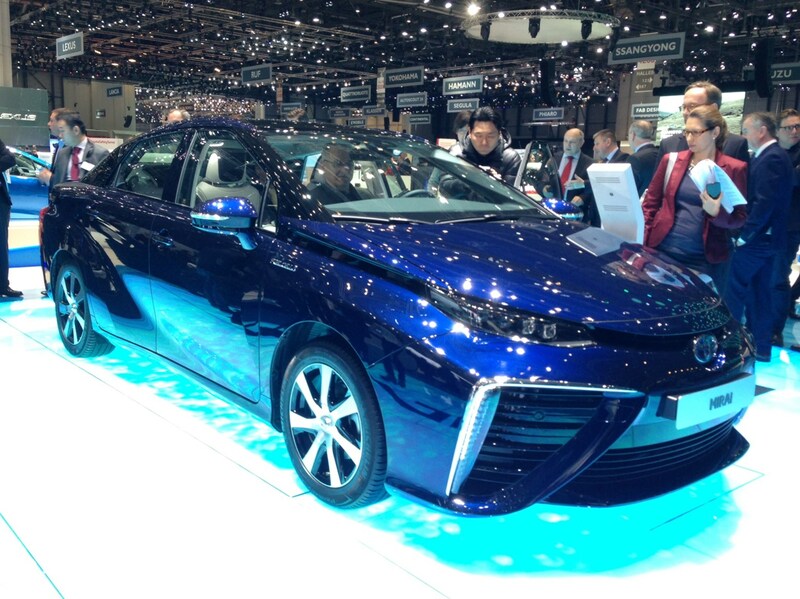 Currently hydrogen refuelling stations are scarce in the UK but that number should increase, particularly around the southeast of England in the latter half of 2015 when the Mirai goes on sale. A chemical reaction in a new kind of fuel stack generates electricity which in turn powers the fuel cell boost convertor to the tune of 153bhp. The only emission from the car itself is water. Potentially, yes, but like all advanced technologies, it’s likely to prove expensive and bought in small numbers by tech-savvy, pro-environment motorists, to begin with at least. It could be the first of a new wave of zero emission cars able to travel greater distances than most electric vehicles – but not until the refuelling infrastructure is more widespread.